is honored on Panel 9W, Line 104 of the Vietnam Veterans Memorial. Specialist Five John Lawrence Burgess, Served with Company B, 227th Assault Helicopter Battalion, 11th Aviation Group, 1st Cavalry Division. Sorry, I read the wrong line. You were a Flight Qualified Huey, UH-1 Helicopter Repairer. I am glad you were found in 2012. Welcome home. It is important for us all to acknowledge the sacrifices of those like you who answered our nation's call. Please watch over America, it stills needs your courage and faithfulness. Rest in peace with the angels. Thank you for your service as an Infantryman with the 1st Cavalry. 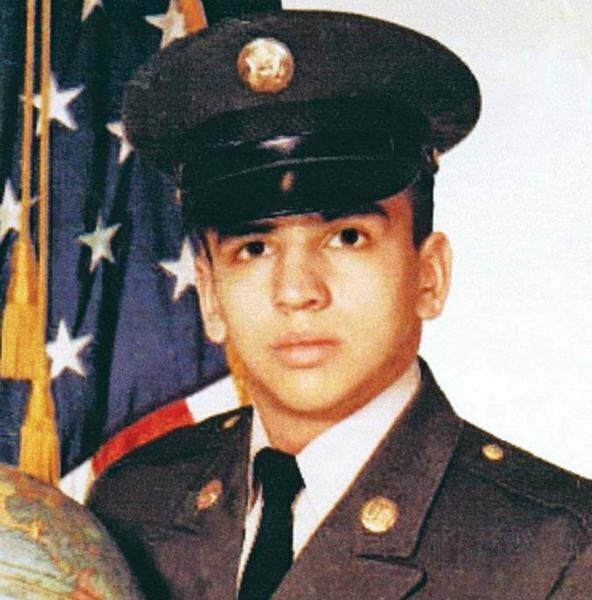 Mike was also 1st Cav, and killed in Phuoc Long. Say hi to him. It is important for us all to acknowledge the sacrifices of those like you who answered our nation's call. Please watch over America, it stills needs your courage and faithfulness. Rest in peace with the angels. An Army aviator who was shot down over Vietnam 43 years ago Sunday finally made the long trip home and was laid to rest in Arlington National Cemetery this week. 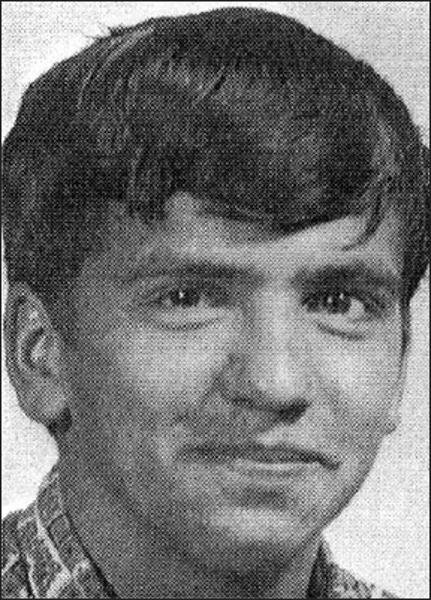 Specialist 5 John L. Burgess, 21, was the chief of a five-man crew when their helicopter was hit and crashed into the thick jungles of South Vietnam on 30 June 1970. 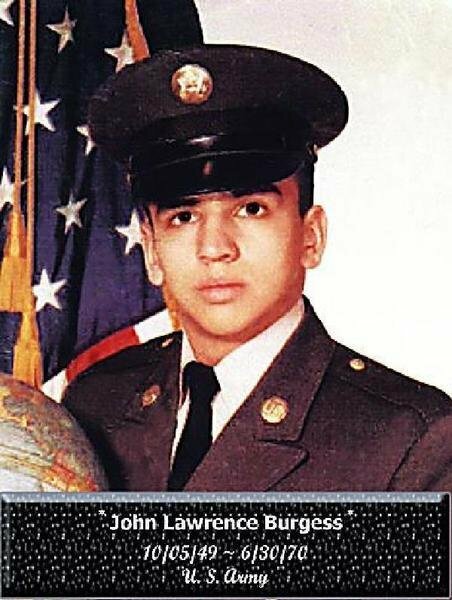 The remains of three crew members were recovered, but the remains of Burgess could not be found — setting in motion a 20-year effort by the Defense Department’s Prisoner of War / Missing Personnel Office to find and identify his remains. That mission ended Tuesday when Burgess was buried with full honors at Arlington in a ceremony attended by friends and family. Rick Van Weezel, Burgess‘ only son, was nearly 2 years old when his father’s helicopter went down. Adopted by a Michigan family shortly after his father’s death, Mr. Van Weezel in recent years had begun piecing together who his father was. During Tuesday’s ceremony, he received a folded American flag. At the ceremony, Mr. Van Weezel, a father of three, met other family members he had never known, yet he felt an unspoken bond with them. He was a 19-year-old gunner, a private, and he managed to pull his wounded commander, 1st Lt. Leslie F. Douglas Jr., from the wreckage before it burst into flames. The 25-year-old Army officer died in his arms, and three other crew mates perished in the chopper. An Army team recovered remains from the crash site before it was overrun by enemy fighters, and placed them in three body bags. However, it was later determined that those remains were only Dyer’s and Colon-Diaz’s. During the ensuing years, researchers from the Joint Prisoner of War/Missing in Action Accounting Command combed the crash site and, using forensic and other evidence, determined that Burgess‘ remains were among those later recovered. Remains of the three crewmen were buried together Tuesday, even though Dyer and Colon-Diaz had received separate burials decades ago. Mr. Goosman, who is the founder and CEO of a small manufacturing company in Orange, California, encourages service members to have the courage to talk with family members of fallen comrades. “ They don’t realize how much healing it will bring to them. They’re desperate for a photo, a story, what kind of mission they were on,” he said. According to family members’ online postings, Burgess was an Ottawa Indian born on 5 April 1949, in the village of Peshawbestown, Michigan. He and three siblings were adopted by the Burgess family in Kingsley, Michigan. Burgess was an athlete who played basketball in high school and worked as a camp counselor in the summer. He enlisted in the Army after high school, and started his Vietnam tour on 1 August 1969, in Phuoc Long Province, serving with the “ Good Deal Company ” of the 227th Assault Helicopter Battalion, 1st Air Cavalry. According to cousin Art Dembinski, Burgess‘ grandfather was a World War II veteran and his great-grandfather fought in the Civil War.